Just-in-time (JIT) inventory is a stratagem that manufacturers utilize to increase efficiency and decrease waste by receiving goods only as they are needed in the manufacturing process, thereby reducing the cost of inventory. Importantly, manufacturers must forecast their requirements accurately. JIT avoids the waste associated with overproduction, waiting for material and holding excess inventory. The original concept was created by the founder of Toyota. Just-in-Time means that a manufacturer makes only what is needed, only when it is needed, and only in the amount that is needed. Many manufacturers have tried to imitate Toyota without understanding the underlying concept or motivation, which might have led to the failure of those projects. 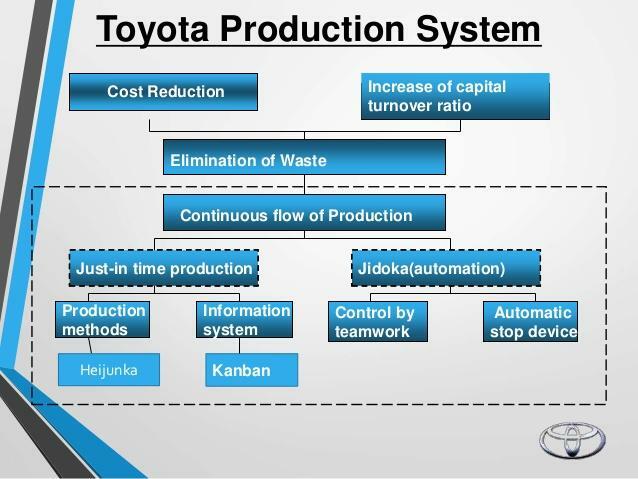 The concept behind Toyota’s system is to work intelligently and eliminate waste so that only minimal inventory is needed. Toyota’s founder used the American supermarket as his model for what he was trying to achieve in the factory. When shopping for groceries, a customer takes what s/he wants from the shelf and purchases them. The store restocks the shelf with enough new product to fill up the shelf space. In a manufacturing situation, a worker would go to an inventory storage location and remove the quantity of material needed for production. The inventory storage location would then replenish just the amount of the material taken. The just-in-time inventory model lets manufacturers reduce their overhead expenses while always ensuring that parts are available to manufacture their products. This allows a company’s customers to be better served, while, at the same time, lowering the cost of doing business. Warehousing excess inventory can be very expensive. Reducing the amount of inventory can reduce carrying costs. Companies that employ the just-in-time inventory model may be able to reduce the number of warehouses they own, or even allow them to eliminate those warehouses altogether. An efficient supply chain can deliver lower costs throughout the manufacturing process, and those lower costs can then be passed on to the customer, making the company's products more affordable. This helps the company acquire a larger market share and outpace its competitors. By using the JIT model, a manufacturer has a better level of control over its entire manufacturing process, thereby, making it easier to respond quickly when the needs of customers change. For example, a manufacturer that uses the just-in-time inventory model can quickly increase production of an in-demand product, while reducing production on products that are slowing down. The company will need to cut prices on any unsold inventory just to clear it out, which reduces the perceived value of the manufacturer’s other products. The just-in-time inventory model reduces this waste. One example of JIT are fast-food restaurants, which use just-in-time inventory to serve their customers on a daily basis during breakfast, lunch and dinner. Fast food restaurants have cheese, burger patties and all the fixings in a refrigerator, but they don't start assembling and cooking their cheeseburgers until a customer places an order. Another example is the self-publishing industry. Authors might forgo the traditional approach to publishing their works and self-publish. Self-published authors can take advantage of just-in-time inventory by working with a printer that offers print-on-demand services. Print-on-demand companies don't print the books until an order is placed. By reducing inventory, JIT frees up resources to employ them elsewhere in the company. A retail store—using JIT—can renovate its warehouse space, providing additional retail floor space without expanding the store itself. A manufacturer can convert part of its warehouse into manufacturing space, increasing production. JIT also allows the workforce to focus on primary tasks, from making goods to interacting with customers rather than stocking material. With JIT, manufacturers will know when employees are needed at different stations of assembly to meet the demand of those stages of manufacturing. A more flexible workforce can focus on quality production with lower defect rates, which lower costs and increase customer satisfaction. To make JIT workable, management must rethink the entire work flow of the company, from the intake of raw materials to the final finished product. At the same time, supply-chain relationships might require multiple suppliers, closer locations, and suppliers that can provide materials with minimal notice. One negative is the problem that smaller orders will be needed for JIT. Therefore, new negotiations may be needed because of minimum order requirements. Even if a slightly higher price is paid, the cost difference could be offset by the low cost of inventory. An entirely different mindset will be needed throughout the company. The complete workforce must understand the entire JIT process and shift to where they are needed, as work flow recedes and surges to meet customer demand swings. This will take a sizable commitment of both time and money at first—plus allegiance—to stay the course in implementing JIT. If not, the system will never gain traction within the company. Lean manufacturing and JIT are often mistaken for the same thing, but they are different concepts. 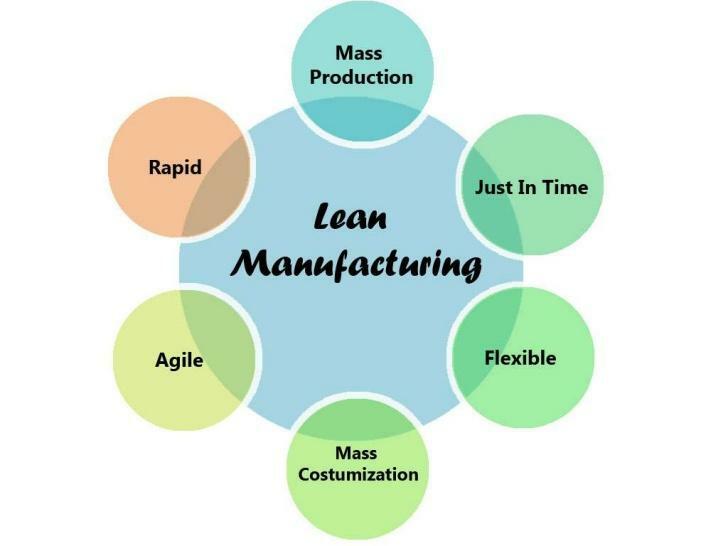 Just-in-time manufacturing is focused on efficiency, while lean manufacturing is centered on using efficiency to add value for the customer. JIT can be utilized on its own, or as one step in the lean manufacturing process. Lean manufacturing takes the idea of JIT and looks at it from the perspective of customer value. In the lean manufacturing process, a company must consider what aspects of the product add real value. The first tenet of lean manufacturing is that every step in the production process must add something of value. The manufacturing process is then redesigned to remove activities that don't add value. Transporting parts from a distant warehouse to the manufacturing plant would not add value. Switching to JIT would reduce transportation and warehousing costs, making the product more affordable. The JIT process adds value by increasing efficiency. The most important benefit of JIT is the elimination of raw material, inventory and product storage costs. Traditionally, raw materials and inventory of finished goods were considered assets. This notion has changed because of JIT and now inventory is considered as waste or dead investment, incurring additional costs.